Within the past couple years, the Navy has made changes to the enlisted seabag in part to the response to feedback leadership was receiving from the Sailors in the fleet. These changes have come with mixed feelings from the Sailors who currently serve and a lot of negative feedback from those who served prior. So has the Navy gone to far and broken with tradition with the ‘radical’ changes with the uniforms? I don’t think so…I think the more things change the more they stay the same. Change is the one constant that the Navy has known since its inception in 1775. Things are ALWAYS changing and that means the service is evolving and remaining strong. The technology, the tactics and yes even the uniforms have ALL been revised since the Navy was created. Technology and tactics seem to be readily accepted as a better way of doing business but somehow people dig in their heels when it comes to uniforms. 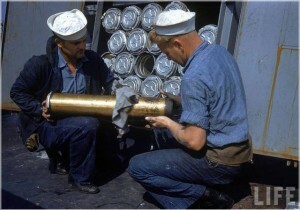 In each era the Navy made adjustments to its uniforms for usability, protection and of course cost factored in as well. The traditional uniform it seems most people think of when they refer to Sailors are either the dungaree uniform a.k.a. the ‘bell bottom jeans’ or the Service Dress Blues more commonly known as the ‘crackerjacks’. The dungaree work uniform was a simple uniform made of a chambray cotton shirt and boot-cut, denim trousers (to help sailors don them while still wearing their boots) that could hold up to the grimy and greasy environments aboard ship. This uniform was originally introduced in the uniform regulations in 1901 and was worn below decks by officers and enlisted alike by 1913. The officers and Chief Petty Officers eventually transitioned to the khaki uniform and the utility uniform was eventually updated in the mid 1990s to a straight-legged chino cloth trouser, poly cotton shirt with embroidered name tapes, and rank insignia for a more polished and uniform appearance. The white hat was no longer authorized to be worn and instead was replaced by a command ball cap. This uniform wasn’t designed to fit into the background like a typical camouflage uniform. So with the knowledge that change truly is the constant in the Navy, it seems odd that so many ‘old salts’ have had issues with the new Navy Work Uniform (NWU). The NWU is a working uniform designed to replace the traditional utility uniform as well as the coveralls. Upon first glance many find the color scheme to seem silly as camouflage is not required at sea. Although as this Sailor in the picture on the right has shown, it might be helpful when you’re in trouble with the Chief or Division Officer. But in all seriousness, the NWU colors are based upon the common paint colors that are utilized in a shipboard environment. Having a ‘digital’ scheme using these colors is actually supposed to help mask the permanent soil caused through the regular wear and tear. Additionally reducing from two uniforms to one is more cost effective and makes a lighter sea bag. 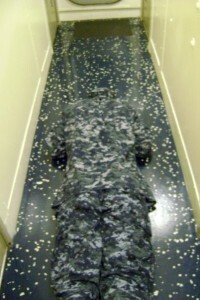 The NWU is one of several uniforms to come out from the CNO’s Task Force Uniform imitative in which feedback from the Sailors in the fleet help mold the uniform policies put into place. Upon closer inspection of the uniform elements other than just color have been designed into the pattern to ensure ties to tradition (in much the same way as the Marines did with their MARPAT uniform). 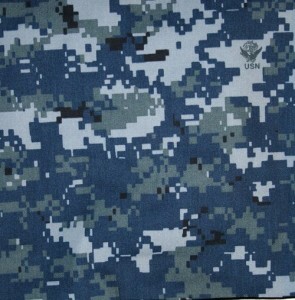 Four color scheme with USN Logo visible in the pattern. Pocket displaying the icons of the Naval service. 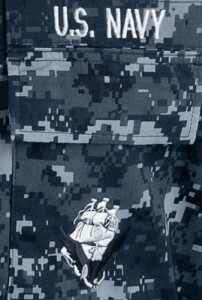 Like the overall pattern, the right pocket also displays icons of the Naval Service. The USS Constitution, an anchor and an eagle. So while this might seem like a dramatic departure from ‘tradition’, let’s truly put that into perspective. The uniforms that the Navy has issued since its inception would probably be considered archaic by today’s standards but during their time were viewed as very progressive and potentially radical. When the Navy decided to allow women to serve during the war to offset the shortage of men, a uniform had to be developed for women. These WAVES (Woman Accepted for Volunteer Emergency Service) were not only pioneers for womens rights but test cases for new uniforms. 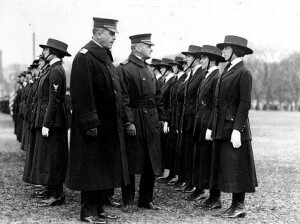 Later when women were full accepted into the military services, the uniforms became standardized for men as well as women as is shown below by the female recruits in formation at Recruit Training Center Great Lakes, IL. Hopefully through a quick glimpse in history it becomes apparent that change truly is a major constant in the Navy’s history and the willingness to adopt new changes is what makes the U.S. Navy so strong. By embracing change instead of fearing it we are actually embracing our heritage of Honor, Courage and Commitment. It all comes down to one simple statement: A Sailor is a Sailor no matter which uniform he/she wears as long as it is worn with pride. 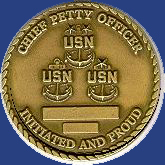 Much of what I write about surrounds my experiences as a member of a flight crew but an equally noteworthy part of my experience in the Navy is being a Chief Petty Officer. I was reminded of this topic as I recently watched a new group of Chief Selectees go through induction and become Genuine Chief Petty Officers in the Navy. Its a special time and a once in a lifetime experience that is unique to only the Navy. With all due respect to the other branches of service, the responsibility and authority that a Chief welds is unmatched by an E-7 in any of the other branches. Navy Chiefs are appointed to their rank by selection board and can only be reduced in rank by conviction by court martial. Selection to Chief represents the most significant change in an enlisted Sailor’s career. 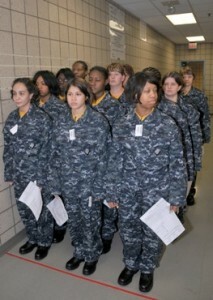 Less than 10% of all that enter the enlisted ranks of the Navy will be selected. The level of responsibility they assume is a reflection on their leadership potential as well as technical prowess. Chiefs are considered the subject area expert in their rate (military occupation) but also assume many collateral duties including training junior officers as well as junior Sailors. The phrase “Ask the Chief” has become solidified with the level of trust that comes from both the commissioned and enlisted ranks that they have learned that the Chief can get it done, no matter what, if it is for the good of the Sailors. The rank of Chief Petty Officer was created on the 1 April, 1893 and as been followed by 116 years of tradition. For those 116 years, the Chief has always provided that leadership for numerous reasons. First our responsibility is to the Sailors entrusted to us. Second, as my mentor put it, “You’re not a real Chief until you’ve made one.” Chiefs are entrusted to train our replacements and pass the traditions of the Navy onto them. Last, we are entrusted to guide and train the junior officers, in much the same manner that you experienced and benefited from in your career. Simply stated, there are many good Chiefs, Senior Chiefs and Master Chiefs out in the fleet. Leaders who were provided with great leadership as they came up through the ranks and are paying it forward to the next generations that will follow. It’s my humble opinion that many see some of the changes in uniforms or other cosmetic differences and see the Navy as becoming ‘soft’ or “Not the ‘real’ Navy”. I think nothing could be farther from the truth. A Chief is a Chief no matter what uniform he/she wears (and even in their shower shoes). And the one constant that the Navy has always experienced: Change. That’s why the generation before me might not completely relate with the way the Navy is today and I’m sure that I won’t always agree with the generations after I’m gone. But the sound and solid leadership skills, traditions and values we’ve passed on are what are unchanging. As a Chief in today’s Navy, I can assure you the traditions, mentoring and skills are being passed on to the Sailors on the deckplates. And it’s evident when you look at the performance of today’s sailors at sea, in the desert or in the air. Stories of heroism, bravery and steadfastness like the USS Cole, or many more in Afghanistan or Iraq illustrate how today’s Sailors are capable, strong and committed as they always have been. That wasn’t by accident but rather reflects upon my brothers and sisters in the Chiefs’ mess who have provided that leadership. Sailors learn quickly in their career that a Chief can get things done that no one else can. Commanding Officers entrust in their command’s Chiefs’ Mess for much the same reason. 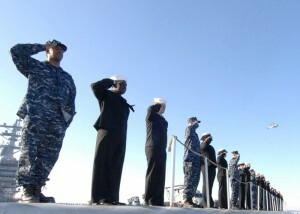 The Chiefs are the backbone of the Navy. 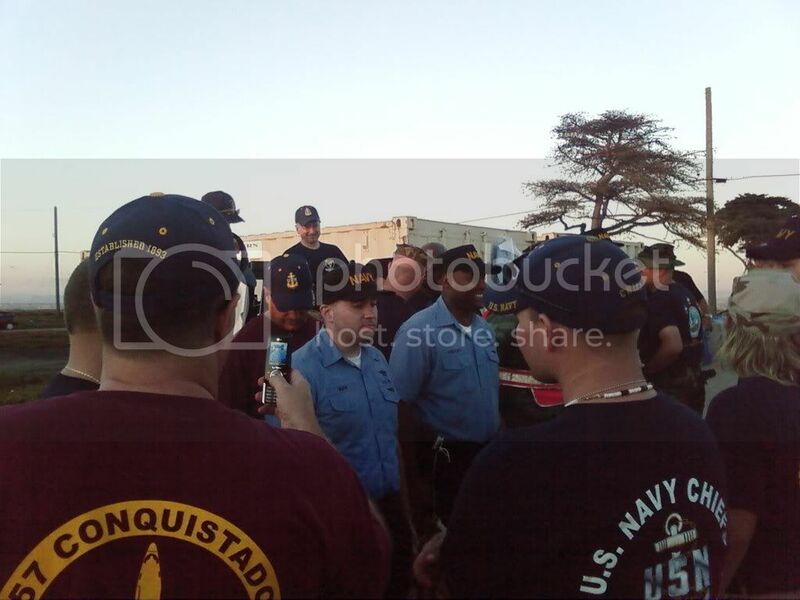 When a Sailor has problems the first person that gets involved is his/her Chief. Even when a Sailor goes to Captain’s Mast (Article 15), his/her Chief is right there as an advocate to the Commanding Officer on that Sailor’s behalf. I once watched my mentor, then a Senior Chief, tell the Commanding Officer of an aircraft carrier who was ready to ‘toss the book’ at a young Sailor, “Sir, I think we can save this one. With all due respect Sir, let me train him and show you what he is capable of.” The Captain trusted my mentor’s judgment and that Sailor’s career was not only saved but by the end of the cruise he was promoted. The power that Chief’s have over their Sailors’ careers comes with a lot of responsibility and is never taken lightly. So how do Chief’s do it? They rely on each other. That is why so much importance is placed on the induction/initiation process that a Chief Selectee goes through. The Mess wants to trust that person, to know that they will do what needs to be done, no matter what for the benefit of the Sailors above anything else. The beauty of that process is building that bond and simple trust. Why is that so important? Here’s an example from my personal experience. I have been on the road and ended up needing assistance with my aircraft (needed some parts for a repair) so we could continue on with our mission to return some Sailors back to the U.S. My duty was to those Sailors who wanted to get home. I never thought twice about seeking out one of my brothers or sisters for help. Even though that Chief didn’t know me personally, we were still bonded by a shared similar experience. They took care of me like a brother and helped me take care of those Sailors because they knew if the situation was reversed, I’d do the same for them. That’s what its all about…the Sailors. That is what makes it such an honor to be part of one of the worlds most powerful and wide-reaching fraternities. To be a Chief means to be a part of something that is bigger then one’s self and to create a legacy that will live on long after your body is ‘decommissioned’ and send back to the great ship builder in the sky. My congratulations to the Fiscal Year 2010 new Chiefs. Welcome to the Mess and never forget where you came from! I’ve noticed several of my Twitter friends who fly for a living discuss their favorite crazy passenger story so I thought it was fitting that I include my own. I was on an overseas detachment in the Mediterranean and we were almost ready to rotate out as our replacements were coming on station within a couple days. The flight schedule which had been extremely busy had settled down and we had a small mission to go up to Rota, Spain to pick up some cargo. Our first leg out had nothing scheduled on it and we picked up some Space A (available) passengers to take to Rota with us. Space available flights are a good deal for active duty (on leave) retired military and their families to fly in military cargo aircraft for free where ever the flight is going to as long as there is available space for them. Our flight was a red-eye flight and we would be flying overnight. The terminal provided us with 4 space available passengers and one pallet of space available cargo. The passengers were a were a guy who was on leave and a family of 3. The father was in the military and the mother and their 6 year old daughter. From the moment I saw the mother, I could tell she was a nervous flier. She seemed very uneasy about the idea of flying and inquired a couple times if the aircraft was safe. I assured her that we were flying in was the newest in the fleet and was quite safe. She inquired about if it was safe to fly with the weather being so bad. The weather was a small rain shower with absolutely no convective issues associated with it at all. I assured her again that we were quite safe and would be on top of the rain and anything else very quickly and we would do our best to make sure we found some smooth air. Something told me that she was going to be having issues later but I needed to finish my preflight. Take off was normal and we began to quickly climb and penetrated through the first layer of clouds. As is quite normal we bumped a little until we got through them. Almost as soon as we had gone through them the flight attendant in the rear called up front and said that they were having an issue with one of the passengers who was ‘totally losing it’. I told the crew that I’d be back there to help out and upon getting back through the cargo area and almost into the passenger compartment I could hear the shrieking. When I opened the door I saw the woman clutching her daughter to her breast with almost a death grip as she was emphatically yelling “AHHH, WE CRASH! WE DIE!” I walked up to her and asked if she was ok and she kept yelling as if the wings were going to fall off. Just then we penetrated through a thin layer of clouds as we continued to climb and the sight of the wing tip strobe lights made her go delirious. As she was already worked up to a frenzy the strobe lights made her think of lightning in the clouds and then she started to get sick. Thankfully one of the flight attendants gave her an air sickness bag and she filled it up immediately and tried to hand it back. The other flight attendant came up with a big trash bag and gave it to the woman who began to vomit into it multiple times. We obviously landed in Rota in the morning without any issues and as we were getting ready to start our descent, I saw the lady leaving the aft lavatory with her makeup running down her face and looking completely wrecked yet she still was dutifully toting around her large trash bag. The one I felt the most sorry for was their kid. I kept thinking that poor little girl will be lucky if she doesn’t grow up and inherit her mother’s phobia of flying. Lately I’ve noticed a bunch of news coverage about flights experiencing turbulence especially after the Air France flight over the Atlantic. While as tragic as that flight was for those people, turbulence is not an uncommon thing. Anyone who has flown has probably experienced some level of turbulence. In fact it’s graded and is talked about frequently between pilots and controllers. But what cases it? Turbulence can be caused by many different things including thunderstorms. However, turbulence doesn’t have to require a full blown storm cell to be happen. 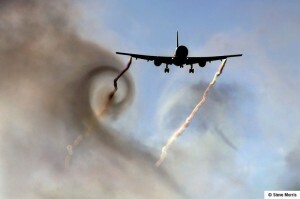 In fact some turbulence is created through other processes. Convective currents or thermals are created when the heat from large bodies of land radiate heat into the cooler air and create some pretty good bumps. I’ve flown over some really strong thermals in the heat of Texas in the summer. Those bumps made me feel like I was riding a bronco. Yee-haw! 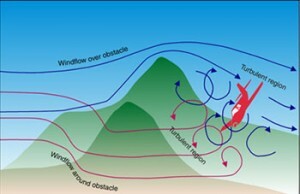 But turbulence can also be experienced when flying close to a mountain range, or at higher, cruise altitudes when an aircraft is entering or leaving the jet stream. In both of those cases the turbulence would be in clear air away from the clouds. An aircraft can experience turbulence when flying low to the ground (during take off or landing) where turbulence is formed by winds interacting with land masses and buildings or even from a larger aircraft flying in front of a smaller aircraft and creating wake turbulence. According to the Aeronautical Information Manual (AIM) there are 4 major categories of turbulence: Light, Moderate, Severe and Extreme. or attitude. Report as Light Chop. be conducted and little or no difficulty is encountered in walking. Occasional – Less than 1/3 of the time. Intermittent – 1/3 to 2/3. Continuous – More than 2/3. objects are dislodged. Food service and walking are difficult. time (UTC), intensity, whether in or near clouds, altitude, type of aircraft and, when applicable, duration of turbulence. between two locations or over a single location. All locations should be readily identifiable. Occupants are forced violently against seat belts or shoulder straps. Unsecured objects are tossed about. Food Service and walking are impossible. 1232Z, Moderate Turbulence, in cloud, Flight Level 310, B707. Albuquerque to 30 miles north of Phoenix, 1210Z to 1250Z, occasional Moderate Chop, Flight Level 330, DC8. 1.High level turbulence (normally above 15,000 feet ASL) not associated with cumuliform cloudiness, including thunderstorms, should be reported as CAT (clear air turbulence) preceded by the appropriate intensity, or light or moderate chop. Thankfully extreme turbulence is as the name implies, extremely rare and modern radar systems, weather prediction equipment and crew training make running into it almost non-existent. Pilots are encouraged to provide pilot reports (PIREP) on what their ride condition is to air traffic control to assist with other aircraft who will follow behind. PIREPS are always provided with the following information such as location (nearest VOR or point), time (in Zulu) and when observed, altitude, type of aircraft, temperature, precipitation, etc. PIREPS are so important that pilots are required to report conditions they experience that are different than forecasted. Now reporting moderate to severe turbulence at 12,500 feet in a Cessna 172 may not be terribly important to a Boeing 757 that is transitioning through that airspace. It makes logical sense because a larger, heavier aircraft is not going to be affected by the same level of winds as a smaller, lighter aircraft would be. 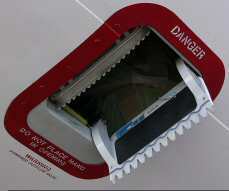 However if a larger aircraft is experiencing moderate turbulence, that could be severe for smaller aircraft. As part of the forecast, if there is any significant weather a AIRMET (Airman’s Meteorological Information) is released indicating potential and less severe weather conditions. These are typically referred to as weather advisories. A SIGMET (Significant Meteorological Information) is an advisory that concerns the safety of all aircraft. They can be convective SIGMETs which indicate thunderstorms or non-convective which would include severe turbulence, severe icing or dust or ash that is affecting an area of 3,000 square miles. So what does all of this mean for the typical traveler on a commercial airplane? It means that even though at times the ride may be a little bumpy, that as many safety precautions are being taken as possible. For the squeamish air traveler, they should probably think of light or moderate turbulence like driving down a road that is need or repair or has a few pot holes. Nothing that will damage your vehicle, but just spoils an otherwise smooth ride. So when the pilot turns on the seat belt sign, and the flight crew tells you to return to your seats…they aren’t doing so to be a nuisance, they are doing so to protect you. 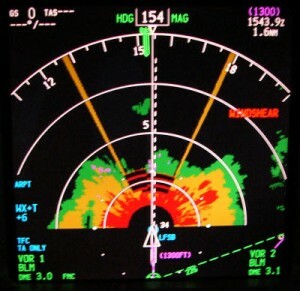 It doesn’t mean that you’re going to be in a severe turbulent situation like windshear (shown on the radar below), it’s just better to be prepared for the worst and hope for the best. Every so often when I tell someone about my reserve status I’m met with an interesting response from them: “Really…and your job is ok with that?” My reply is that my company is pretty good about supporting my military service but that I’m also try to ensure that they are kept in the loop and that my absence is as minimum of an impact as I can possibly make it. But that does lend itself to a good topic for discussion; are reservists valuable in the civilian enterprise? Obviously everyone wants to be patriotic and support the troops, and the folks at ESGR will tell you most companies comply with the law and support their employees when they leave for temporary duty. There are definitely stories you hear about where employees are let go upon letting their boss know they will leave for duty or are turned down for a promotion. So why would cause that to happen? I think before we can understand that, it’s important to objective and examine the ‘pros’ and ‘cons’ of having a reservist who works for you. Pro: Are they an asset? A reservist in any of the branches brings an employer a wealth of experience and knowledge commonly not found through civilian training courses. Reserve service allows an employee to gain leadership and technical training at no cost to the company. They are familiar with the restraints of time, resource and the importance of ‘completing the mission’. A successful reservist has a good understanding of balance between all the responsibilities of life. Service members are used to taking charge and making decisions that can seriously impact others lives. Military environments help teach a keen understanding of what it means to multitask and make sacrifices to accomplish the mission. Members learn an advanced understanding of the importance of teamwork and its impact on success. Employees can develop leadership skills and gain real management experience that directly translates to the civilian enterprise. Con: Are they a liability? Their absence requires additional manpower/project management by managers which can be viewed as a hassle. 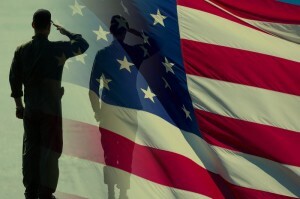 The laws about letting an employee who is a reservist may seem confusing and not favorable to the employer. Perception by some may be that reservist employees are away on ‘vacation’ or aren’t ‘pulling their weight’. Based on the assumption of reservist employee’s training schedule or likelihood for deployment, selection for work projects can be biased. Most companies believe that through regular and open communication between employer and employees who serve is the key to success. Through empowering their citizen warriors, the company can better harness the employee’s unique skill sets to create a greater impact to their enterprise. In turn the employee feels valued, and supported in their service which creates loyalty. Do you have reservists in your enterprise? I’d love your feedback and examples! On December 6, 1943 my grandfather, Russell Schlosser, enlisted in the Navy and shortly after was sent for recruit training at RTC Farragut, ID. Upon his completion of recruit training he was trained as a Transport Airman. Transport Airman was not a standard rate (a rate in the Navy is a job or what the other services call a Military Occupational Specialty or MOS). Because of the great need for logistics support during World War 2 the Navy created the Transport Airman rating which was classified as an ESR (Emergency Service Rate) which meant it was created for wartime. The job required him to act as an utility crewman (loading and transporting cargo) on the Navy’s version of a C-47 Skytrain (the Navy called it the R4D). All of the logistics aircraft that flew in support of the fleet were under the command of the Naval Air Transportation Service (NATS). During his time in the Navy, he was assigned to 3 different squadrons. His first was VR-10 based at in Honolulu, HI which was responsible for the major maintenance for the NATS fleet of aircraft in the Pacific. He also served at VR-12 which was attached to Headquarters, Pacific and where he spent a fair amount of time deployed to Los Negros Island in the Admiralty Islands. Before leaving the service, his final duty station was with VR-3 at NAS Olathe, KS. He was discharged from the Navy on December 8, 1945 as a Air Transport Specialist Second Class. 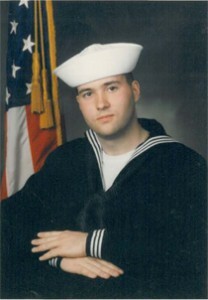 Upon my release from active duty, I affiliated with the Naval Air Reserve Center (NARCEN) in Olathe, KS before I later transferred to NAS Dallas and eventually into the VR community. The majority of my career has been spent two different VR squadrons flying the C-9B Skytrain II and its replacement, the C-40A Clipper. The missions I fly are in support of the Commander Fleet Logistics Support Wing and who’s missions are assigned from Naval Air Logistics Office (NALO) which is what NATS later become. What is ironic is that I never knew all of this. My grandfather died long before I was born, and when my mother was still a child. The only details I knew of my grandfather as I was growing up were what my grandmother shared with me. She told me that he spend time in the Admiralty Islands in the South Pacific and that he left the Navy as a 2nd Class Petty Officer. Only a few years ago, I helped my mother request a copy of her father’s service record. The results were so surprising after I discovered how our careers had truly paralleled. Naval Aviation and Logistics; a newly discovered family legacy. A tradition I am proud to carry on. 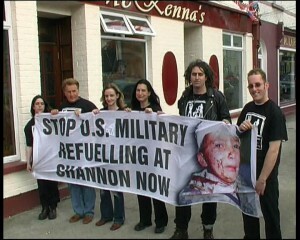 In January 2003, during the initial build up for Operation Iraqi Freedom, a strange incident happened at the Shannon Airport in Ireland involving a brand new Navy C-40A and Irish peace protesters who were unhappy with the Irish government’s approval of U.S. and other military aircraft being allowed to stop for fuel in-transit to support the growing presence in the Middle East. Trans-oceanic flights are not uncommon at all for both civilian and military transport aircraft and a common topic is where to plan a stop for fuel and to allow the crew to rest overnight. A popular location frequently selected was the fixed base operator (FBO) at the airport in Shannon Ireland. Its popularity was based on several factors (fantastic scenery, some great local pubs to get a meal and pint of Guinness, an excellent duty-free shop and because it was on the U.S. government contract list making it reasonable in cost). The Navy had just received its 5th and newest C-40A the prior year (2002) and this was to be it’s first full fledged detachment in support of fleet operations in the Mediterranean region. But it wasn’t meant to be. On the night of January 29th, Mary Kelly, a 51 year old protester, climbed the airport’s perimeter fence and began to swing an axe at the parked C-40’s nose wheel strut and tires. With the tires inflated to 200PSI, she was lucky she didn’t subject herself to an explosion with enough force to kill a human caused by puncturing a tire with the axe. Instead she was arrested and charged with trespassing and criminal damage. She admitted to all of her actions. 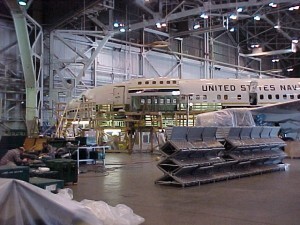 The damage Ms. Kelly inflicted was significant enough to require the aircraft to be repaired before it could be ferried back to the States and it was moved into a hangar to allow for repairs. The total estimated cost for repairs: just under $1M. 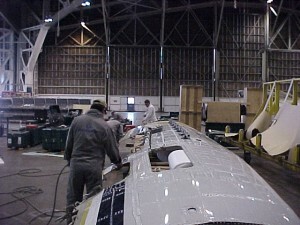 Over the five days after the incident with the hatchet, repairs were made to the aircraft and it was cleared for a ‘one-time’ ferry flight back to the US where the remaining repairs could be completed. The night before it was to return (February 3rd), a group of five individuals who call themselves the “Pitstop Ploughshares” broke into the hangar and again damaged the aircraft (this time using picks and hammers) and painted on the hangar door “Pitstop of Death”. They were arrested and charged with two counts of criminal damage. Like Kelly, they too admitted to all of their actions. The damage the group inflicted was more severe. The Irish authorities moved heavier security into the airport and forced the protesters camping on the grounds surrounding the airport to leave. The aircraft was again repaired and finally ferried back to the United States where it was sent to the Boeing facility in Wichita, KS for repairs. The total estimated cost for repairs (including the first incident): approximately $3.2M. 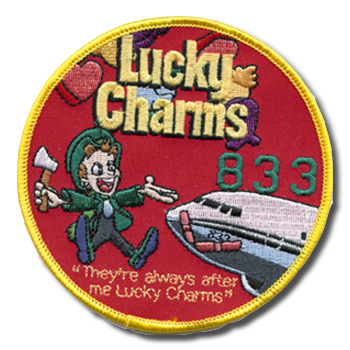 So by now you’re probably asking “Where exactly did the Lucky Charms patch idea come from?” After the second time the aircraft was damaged, one of the squadron maintenance personnel asked a rhetorical question: “Why do they keep going back at this aircraft for more? !” and without missing a beat, one of the squadron Chief’s responded “They’re Always After me Lucky Charms!” in a silly Irish accent like the cartoon cereal character, Lucky Leprechaun. 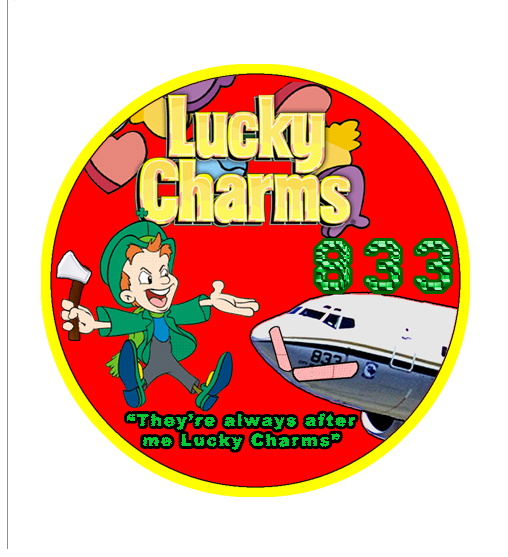 The response of course evoked a lot of laughter, but also bore a nickname for the aircraft “Lucky Charms”. The patch concept was born and quickly created (by yours truly). 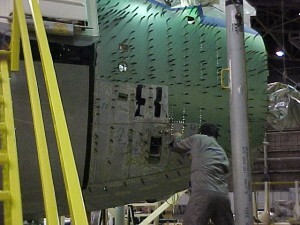 The patches sold out quickly, many to Boeing employees involved in the repair of the aircraft. 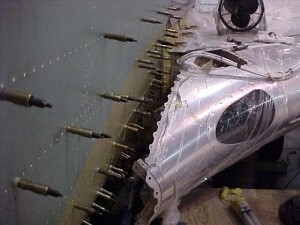 The aircraft was at the Boeing facility for several months during which the lower skin on the pilot’s side was replaced all the way back to the wing root and the skin on the co-pilot’s side was replaced back to the service door. Quite a shame for an aircraft that had been flying for less than 500 hours. So you might be asking now what happened to the folks who damaged the aircraft. Shockingly not much. After 3 trials, Mary Kelly was found guilty and given a 4 year, suspended sentence of 2 years in prison. The Pitstop Ploughshares were never convicted after 3 separate trials. The real losers were the people in the surrounding area of Limerick Ireland whose economy suffered as a result. Many were either employed by the airport or felt the effects of the lost revenue because of the decision by the U.S. wing commanders to cease allowing refuel or overnight stops at Shannon. In an attempt to try to recapture some of the lost revenue, the local authorities built a very large police facility at the airport and developed better tactics to ensure the security of transient aircraft. Ever wonder as you’re sitting in that window seat and looking out at the engine hanging under the wing just exactly how does it work? I’d be willing to bet your extra bag of peanuts you scored from the flight attendant that a lot of folks don’t know exactly how it works. (most don’t even know how a car’s engine works either just that it takes gas) No problem. It can easily be explained with four simple terms that you’ll never forget. Compression (Squeeze) – The Air is compressed which increases the heat and pressure. 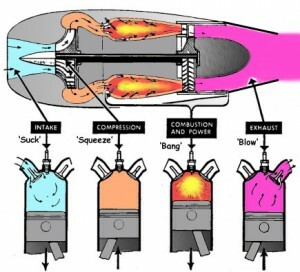 Combustion (Bang) – The compressed air is mixed with atomized fuel which causes the mixture to burn; the pressure and temperature both increase as does the velocity of the gases. turbojet – the original design, fast, high energy, the least economic. Not commonly used much except in older business jets and fighter aircraft like the F-4 Phantom. turboprop – a small, high torque jet engine. Majority of energy produced is converted into torque to turn large propeller blades which produce the majority of the thrust. These are commonly used in regional commuter aircraft as well as large cargo aircraft like the C-130 Hercules. 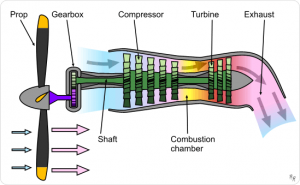 turboshaft – a small, extremely high torque jet engine similar to a turboprop, but instead of connecting to a prop, it is connected to a main shaft and its torque is converted through a main transmission into energy to rotate a helicopter’s rotor assembly. These are used in helicopters like the SH-60 Seahawk/UH-60 Blackhawk. 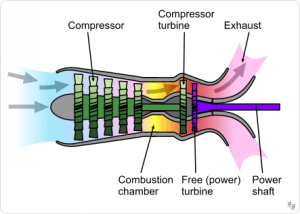 turbofan – a highly efficient design; almost like building an engine casing around a turboprop engine. Lower noise, smaller size than a turboprop and very reliable. These are the most commonly used engines today and are installed in everything from large commercial passenger aircraft to modern fighter jets like the F/A-18E. 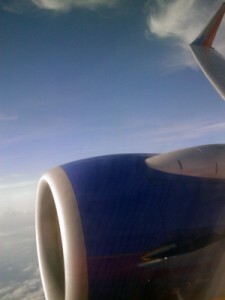 Turbofan engines are the most commonly used jet engine in the world. Their failure rates are extremely low as are their maintenance requirements. 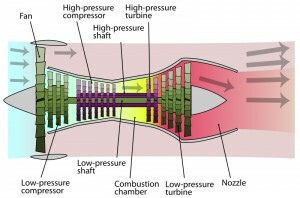 Above you see an animation of the combustion process of a high-bypass turbofan engine. This type of design is extremely efficient, and the majority of the thrust is not created in the center main section but rather from the by-pass area. Almost 80% in fact. (Thanks to Mr. 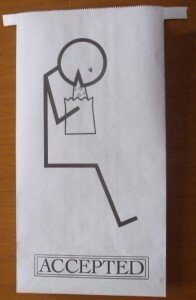 Bernoulli!) In fact a high-bypass, turbofan engine like the CFM56-7 engine used in the C-40/737-700, is statistically less likely to have a mechanical failure (resulting in shutdown). So now they next time you’re on-board that 737 on your way to a wonderful vacation, you can look at the wing with a knowing smile. Or perhaps strike up a conversation with your travel companions and place a wager for their bag of peanuts that you explain how jet engines work in 4, single syllable words. I’m sure that everyone’s heard this question, “When we are flying, can a small hole in the airplane cause it to burst?” I know I have from new crew members in training as well as civilian passengers when I’m flying commercially. Its actually a very astute question but its based on the assumption that an airplane is a sealed metal can (a Coke can makes a great comparison). 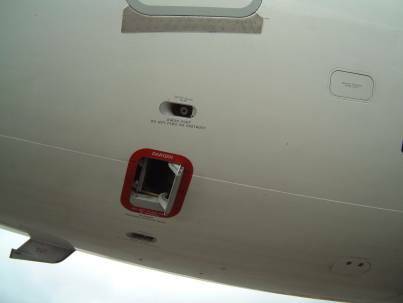 The thing to understand about an airplane like a 737 is that it is nothing like a sealed coke can but in fact has holes in the vessel on purpose that work with an aircraft’s Cabin Pressure Control System (CPCS) to regulate the pressure. The CPCS is what regulates the air pressure for the vessel. This is accomplished using bleed air from the aircraft engines, mixed into an air pressure pump (called an air pack) which pumps air into the cabin and regulates the air temperature. Air that is pumped into the vessel has to be let out so the Main Outflow Valve is placed in variable positions based on the altitude of the aircraft. The valve can be controlled automatically by one of two pressure controllers, or if both fail, it can be controlled manually using the switch. 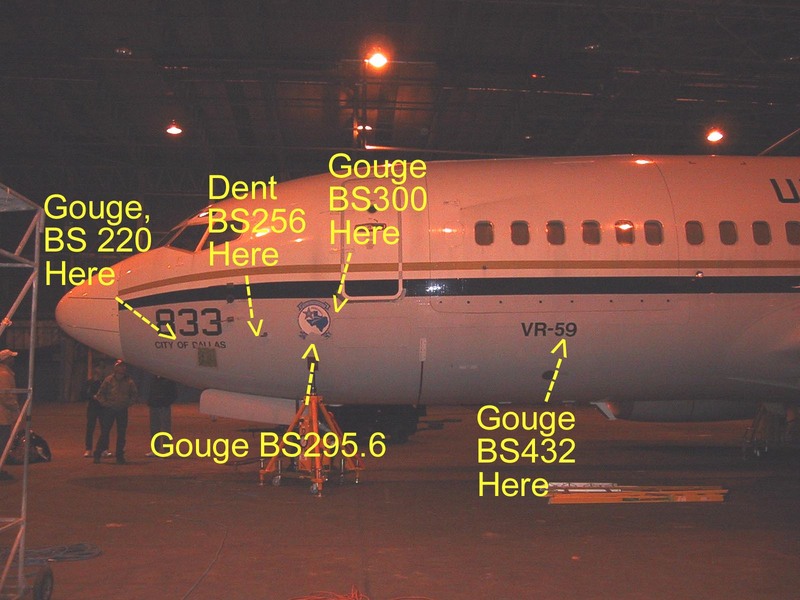 This system is what allows the inside altitude of an airplane to be maintained a comfortable setting of 8,000 feet when the true altitude outside of the aircraft is 41,000 feet. Here’s a close up of the Main Outflow Valve. It sure does look menacing but the ‘teeth’ are a recent redesign to smooth out the flow of the air and reduce the noise created as it adjusts in flight. But since putting your hand inside that opening is a good way to lose it, perhaps the design has a nice secondary preventative purpose as well. Ok so now that you understand what the valve ‘that looks like a piranha’ does…I’m sure you’re asking “What happens if that thing gets stuck? !” Another good question that the engineers thought enough to design a solution for. 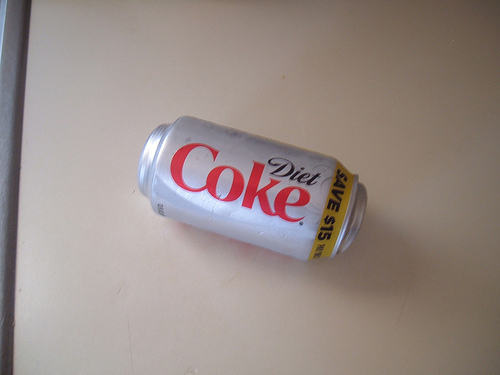 Let’s go back to look at our trusty Diet Coke Can. 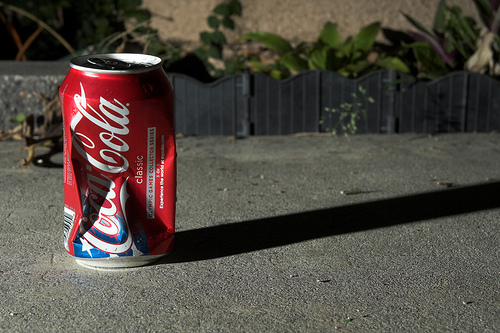 When you put a Coke can in the freezer and the contents freeze, it causes the can to bulge and expand. That’s not good for the can because obviously later after the coke thaws out, it won’t sit normally on the bottom and the can’s seals probably leak. Well the air pressure on the inside of an aircraft could do the same thing as well if there wasn’t a valve in place to relieve the pressure. That’s what the two Positive Pressure Relief Valves are for. They are located on both sides of the Main Outflow Valve and are engaged with the cabin pressure differential is is around 8.95PSI. It keeps the same thing that happened to the Diet Coke can from happening to the aircraft (and from causing some major trauma to the passengers and crew). So on climb out the aircraft is not pressurizing right and the Main Outflow Valve gets stuck…what would keep it from crushing like the can below? Yup, the engineers thankfully thought of that as well. In order to protect the aircraft from under pressuring (which can damage it as well), the aircraft has a Negative Pressure Relief Valve. The spring loaded door is held in place but with a small amount of negative pressure in the cabin, it is ‘sucked’ back to allow the pressure to equalize. 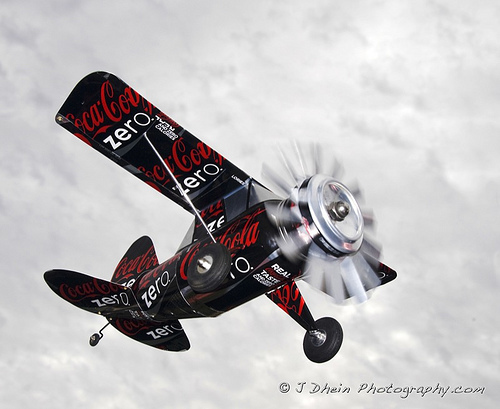 So obviously aircraft aren’t solid metal sealed cylinders like a Coke can (and thank goodness). If a door seal isn’t tight or whatever, the aircraft has the ability to maintain its pressure throughout the duration of the flight. The system is redundant and very safe. 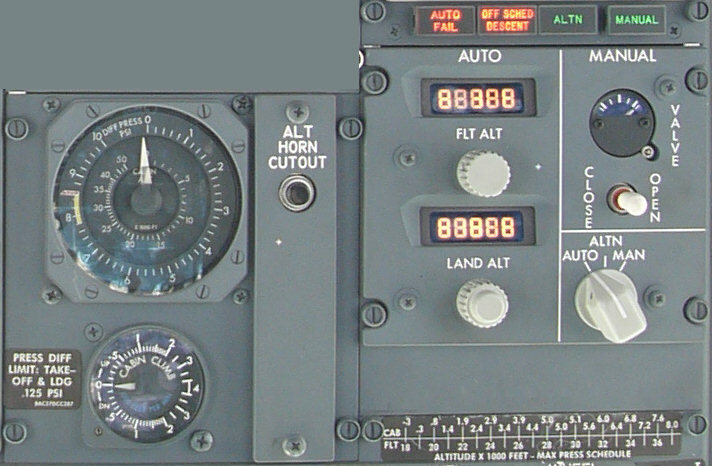 Most commercial aircraft have systems very similar to this one that function in the much same manner. 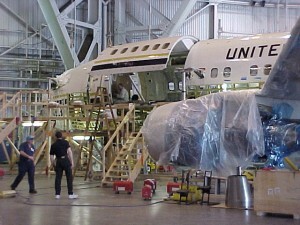 Have any other mechanical questions about the 737/C-40A? Ask away! Feel free to Tweet, email or comment with your questions and perhaps I’ll write about it in a future blog entry. That quote from Adlai Stevenson is probably one of my favorites. Obviously September 11th affected all of us in our own unique way. 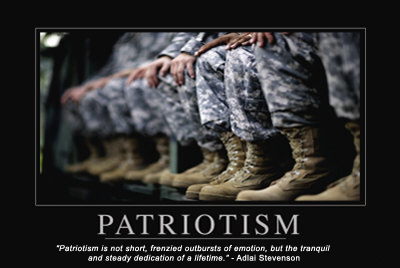 One positive thing it did bring about (at least for a while) was a surge of patriotism and the desire to support the men & women in the service of this country. I rarely wear my uniform when I fly (as to not draw extra attention to myself) but when I do, I have only gone a couple times where someone hasn’t come up to me to say that they appreciate my service, or to share their own experience with me when they served. In that moment I find myself always humbled by it and find myself at a loss for the right words usually muttering “Thank you, it’s my honor.” But that moment means more than just a few seconds in verbal exchange. Its an opportunity for everyone to become part of the support network that makes it possible for the men and women of the Armed Services to do what they do. Its truly a special bond that we all share that transgresses race, gender or religion. We recognize that we are all part of something bigger than us which will survive long after we have perished. The moments like that which touch me the most are when an obvious veteran from a previous war comes up and thanks me. I was out to lunch with members of my squadron for a shipmate’s going-away party (he was transferring to a new command). The majority of us were in uniform and as we were leaving the restaurant, an older gentleman stood up from his table, walked over to me and shook my hand. He said, “Thank you for your service Chief. I served in Vietnam in the Air Force from ’64 to ’67.” I was quite shocked and again humbled. Then I returned his handshake and said “No, thank you sir for serving so that I and others like me could have the opportunity to serve later.” He smiled, got quiet and returned to his seat. I think both of us probably had a lump in our throats after we parted ways. True patriotism isn’t about wearing a t-shirt that proclaims it nor is it about if you’ve got a magnetic ribbon on your car. 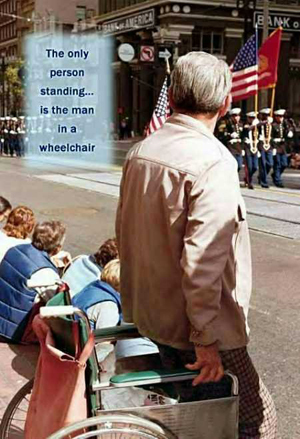 Its about dedication and constant effort to support those who support and defend our country. If you truly want to be a patriot, copy a page from the generation of folks who supported the folks during WW2 (the great generation). Their contributions weren’t always big, but were backed with simple deeds that meant something. There are plenty of things that people can say or do to support veterans. Don’t exclude aging or retired veterans; their contributions were no less important: Seek out the opportunities to do things for the veterans in your community. There are WW2, Korea, Vietnam, Gulf War and other veterans in every community in the U.S. Some may be your neighbor, your co-worker, your teacher, etc. Take the time to learn about their past. Show interest in their service contributions. Don’t qualify their service based on status (Active Duty/Full Time, Selected Reservist or National Guard): With the amount of time that the Reserve and National Guard members have spent in Iraq and Afghanistan, it is neither polite nor is it fair to do so. EVERYONE who serves makes a contribution. Support their families: Learn about the military families in your neighborhood. If their loved one is away, seek opportunities to help them in simple ways. Lend a hand if they have work around their yard that needs to be done or get a group of neighbors together to help them with home repairs that they may not have the money or the know-how to do by themselves. Or something as simple as making them a pie and taking it over. The simple things go a long way. Support organizations that help injured or deployed service members: There are plenty of volunteer/non-profit organizations that aid service members if they are injured, or while they are away. If you don’t have a lot of time, but do have some resources you can donate contact those organizations that can use them. Swap seats to push a service member to fly in business/1st Class: This is by no means necessary, but was one of the coolest things I’d seen when I was flying back on a commercial flight from the Middle East. A gentleman got up from First Class and went back to one of the sailors who was back in coach and said “You need to sit in my seat more than I do. Would you mind if we swapped?” A simple gesture from a business man who probably travels all over for business and is used to being comfortable, but it meant a lot to that young man who would have sat on wooden crates for hours, just to get home. Non-rev tickets: I’ve had several pilots in my squadron who are pilots for the civilian airlines offer me and others who commute to serve, non-revenue tickets from their airlines that they get for free. They understand the sacrifice and the expense and though their generous offer may not seem like much to them, it makes the opportunity to serve a little easier. What ways can you think of to show your patriotism?